Madonna is currently selecting which remixes for Living for Love to approve. BUT what we can report is that the.. Guy Oseary answered questions on Twitter regarding Madonna‘s Rebel Heart release. Madonna‘s manager confirms that the “first video will be..
Madonna’s first single is Living For Love. 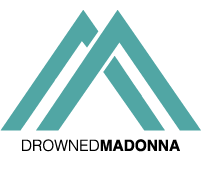 Are you ready for Madonna new single? Find out what we heard from reliable insiders. It’s a little bit unexpected,..
Alicia Keys confirmes that she will be part of Madonna new album, but she is only playing some piano on..
Madonna stands up for Alicia Keys #WeAreHere project to present why she is here for love and peace. But she..